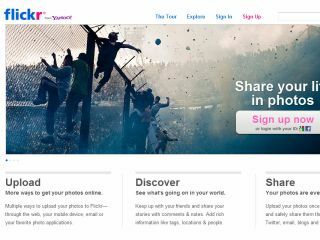 A major revamp to Flickr's interface will be rolled out at the end of February, according to its senior product manager. Speaking to Betabeat, Markus Spiering said the redesign will affect most of the site, with the main photo losing white space and images being arranged in a photo grid. Scheduled to launch on February 28th, a new upload interface is to be introduced, giving the uploading page an "app-like" appearance. In practice, this should mean a drag-and-drop style interface. Bought by its parent company Yahoo in 2005, Flickr is seen as "the photographer's social network" with over 3,000 photos uploaded to it every minute, or 3.5 million photos every day, making it the biggest dedicated photo sharing website. Flickr reached its 6 billionth upload milestone in August 2011. Recently it has faced increasingly stiff competition from Facebook and Google+, with the former appearing to constantly change the way it displays photos. Newer networks such as Instagram and 500px are challenging Flickr's popularity, which is surely the reason behind the new redesign. Although Flickr has a free option, it also includes a premium paid-for service that allows photographers to upload an unlimited amount of photos. It changed its pricing structure in January, to offer a three month subscription option and lowering its two year price. According to Spiering, more changes will be rolled out during 2012.